You will rarely see a bodybuilder with good all around upper body development, even though the standard of bodybuilding has generally improved. 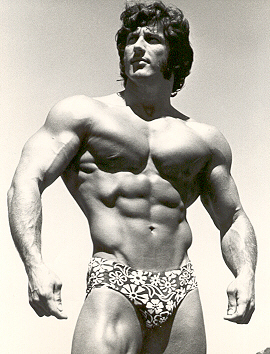 It appears that only the top men have the all-around, shapely development so necessary to win physique contests. This situation occurs because most bodybuilders specialize on a few sections of their frame, while the other muscle groups are given little or no attention. 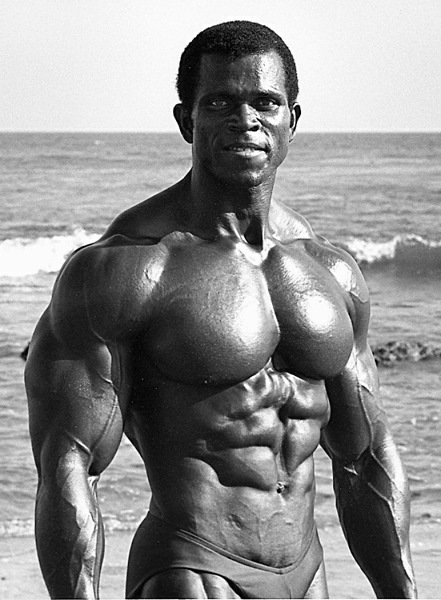 In my opinion, the classic upper body should look something like this; good arms, well developed deltoids, a fully developed back - including the lower region, the trapezius and a high thorax, with firm, shapely, symmetrical pectorals. Instead, you invariably see large smooth arms, huge pectorals that hang over a shallow rib box, flat deltoids, large lats, with little or no development in the lower back and trapezius muscles. No wonder that the average person thinks bodybuilders look grotesque. When I began weight training, it was always recommended that you train each section of the body adequately. If you walk into any gymnasium today you will see most fellows spending their training period dong countless sets of bench presses and dips for their pectorals, set after set of curls and many pulley movements. Granted, bench presses and pulley movements should be included in your normal routine, but not at he expense of other important exercises that will develop your upper body totally. To balance your chest development, exercise, the upper pectorals with bench presses, incline presses or flyes. A large, full rib box can best be accomplished by dong a stretching exercise, such as the pullover, immediately after some form of leg work (squats). I prefer dong back exercises after my chest work. Most chest movements entail some form of pressing while back exercises involve pulling. By alternating the pushing and pulling exercises you give yourself a slight respite. If you had to do, say, deltoid exercises after your chest routine you may find yourself much weaker when you train your deltoids. Chinning, in my opinion is one of the better lat movements, so it should never be neglected. Rowing exercises will also add inches to the upper back. The spinal erectors (lower back) and trapezius muscles are very weak on most bodybuilders Deadlifts will work these areas vigorously, so do not overlook this exercise. However, do not get carried away or use poundages that are too heavy for you. The seated press-behind-neck is a great exercise for this region. For best results, increase the poundage whenever you can for the desired number of repetitions. Seated dumbbell side laterals are very effective, but they must be done correctly. The dumbbell should be kept in line with your body and raised sideways, but above all, lower it slowly. Since this is a leverage movement you will not be able to use a heavy weight. The regular barbell curl is still a good biceps developer. Remember to lower the weight slowly. Dumbbell concentration curls really pump the biceps, especially when done without any cheating. Triceps pulley pushdowns pump the triceps. When doing this exercise make sure your elbows remain close to your side throughout the movement. Another supreme triceps developer is the parallel bar dip. My triceps grew rapidly from the practice of this exercise. I like to finish my arm routine with a few sets of wrist curls. Not only will this aid in keeping the arms pumped up, but a well muscled forearm gives a more proportionate look to the entire arm assembly. In conclusion, when training the upper body, include adequate amounts of exercise for each section without overdeveloping any one part. If it appears that a particular muscle is lagging behind the rest, then by all means, add a few sets for this region. However, this should never be done at the expense of other muscle groups.